Have You Tried Detox Drinks for Weight Loss? There was a time when to detox your body it meant that it was going to involve going to a specialist or something of that nature. Now a days, there are so many do-it-yourself methods out there the research is overwhelming and can put a person off. 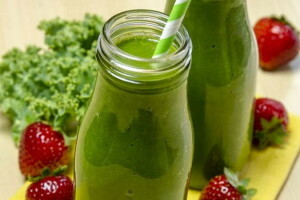 Detox juices and drinks are one of the simplest ways to do a body cleanse and are full of natural ingredients, most of these ingredients are fairly easy to come by. 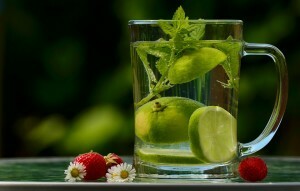 Detoxification drinks have been around for years, and a suggested best is known as the The Master Cleanser. It was developed by Stanley Burroughs in 1941 and has recently been made famous by the use of celebrities . Detox food and drinks use everything from flowers to spices and fruits to cleanse your body and they perform so well because all of these natural-detox-drink-recipes utilize natures ability to take of our bodies on it’s own. If we simply ate non-processed all-natural foods and did not have any pollution, no chemicals entered our bodies at any time, then we would be naturally healthy. However, in today’s world, that is pretty much impossible. We can allow nature to assist us with repairing our bodies and use cleanse drinks and other methods to restore the healthy balance that our bodies need to function properly. There are five types of homemade detox drinks that can be used for a variety of cleanses. They are so simple and easy to make and use that you may find yourself wondering why you didn’t think of this on your own. The majority of us are so busy living our lives and keeping up with the hectic paces we have put upon ourselves that we do not realize what we have done to our bodies and we most certainly do not realize that we have the ability to do our own preventative healthcare. It is time for us to take back our health, it is time for us to want our bodies to be cleansed. It is time to stand up to the environment and say “you may put unhealthy chemicals into my body but I will flush them out”. If you simply do a web search you will find an abundance of information at your fingertips, you also have the option of going to alternative healers, buying books, and asking your doctor for their recommendations. I do suggest at least calling your doctor before starting any regimen to be on the safe side.